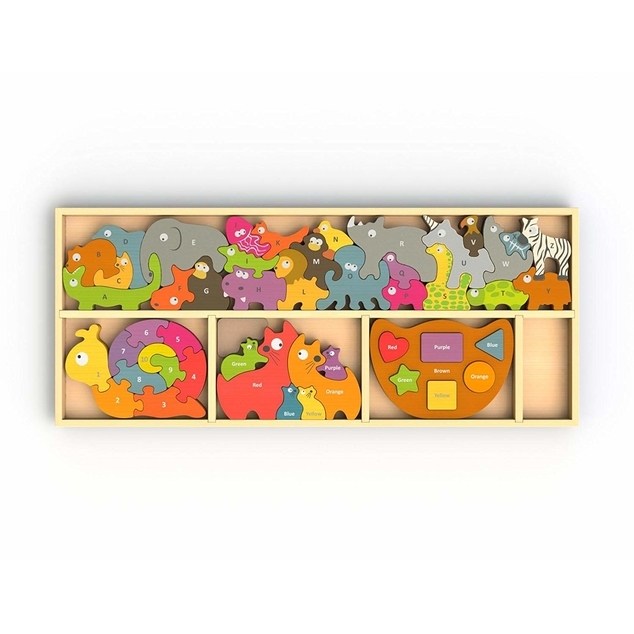 BEST OF BEGINAGAIN ASSORTMENT: 4 of BeginAgain's best selling educational puzzles in one box! Animal Parade A-Z, Number Snail, Balance Boat Shapes and Colors and Cat Family. 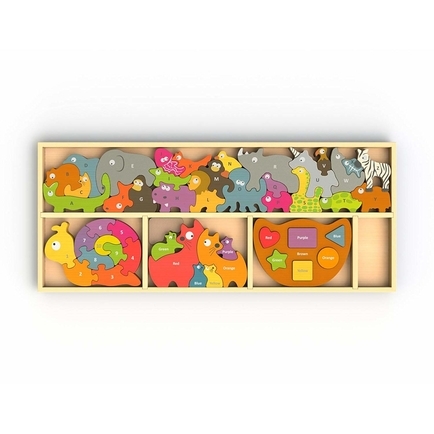 ALL IN ONE BOX: Barlowe's Learning Box covers all of the basics - Alphabet, Numbers, Shapes and Color learning puzzles and playsets. All packed in a hand crafted wood storage tray.